Every once in a while, I decide to slip out of my comfort zone of Amish and romance and dip my toe into something a little different. I'm going to toss this one into the romantic suspense category. Different for me, but sometimes change is good, right? In this case, it really was. 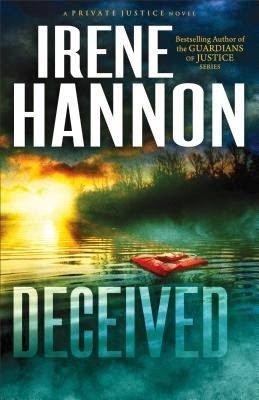 Irene Hannon has a way of making a book incredibly easy to read and to get sucked into. This is great..unless you start reading at midnight... Luckily for me, I found a tiny bit of willpower and split this up over a couple of nights. Then, my internet went out this morning and I was able to indulge myself with finishing it. This is an incredible read that has you hoping and praying for the right outcome, which right up until nearly the last page is still up in the air. I found myself completely pulled into Kate's character and her worries as a woman and as a mother. If I don't stop writing though, I'm going to completely give away spoilers and I want y'all to go and read this one for yourself, so do that and then come back and we can talk details!